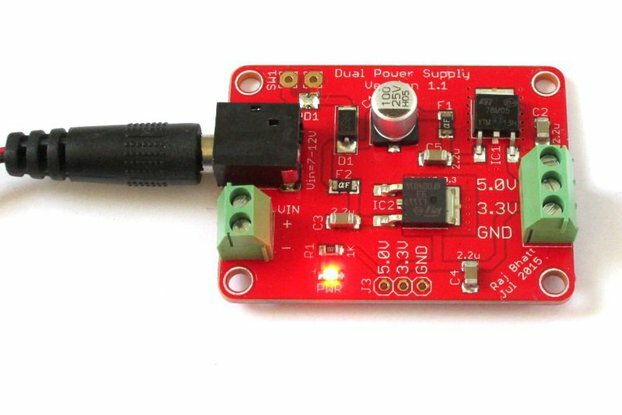 PowerStick is a board designed with the same form-factor to be easily inserted in a BreadBoard to supply 3.3V or 5V (you can select the output voltage by solder pad) to supply power to rails. Furthermore, PowerStick provides regulated power to supply whatever Arduino Board you want. In fact, you can easily insert the PowerStick on top of Arduino UNO or Arduino DUE. In these cases (‘Stackable-Mode’) the boards are 5V power supplied through the right pins. 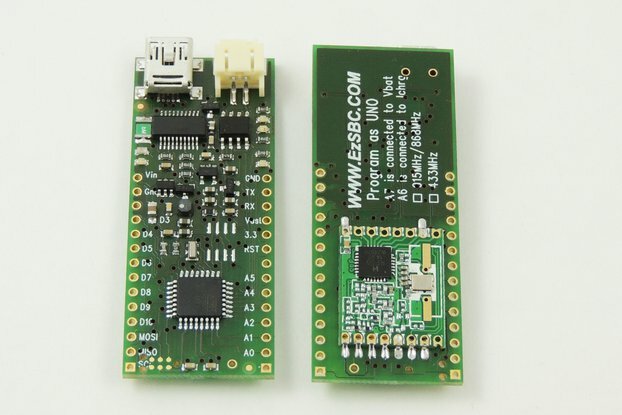 You can use PowerStick to power devices mounted on many kinds of boards (soldered prototypes boards, PCBs, …etc). The PowerStick is equipped with lithium battery charger to charge the onboard battery and the off-board battery also. You can connect an external LiPo rechargeable battery to increase the total autonomy. To charge the battery, you can supply the PowerStick with mico-USB smartphone charger or by the USB from a PC. 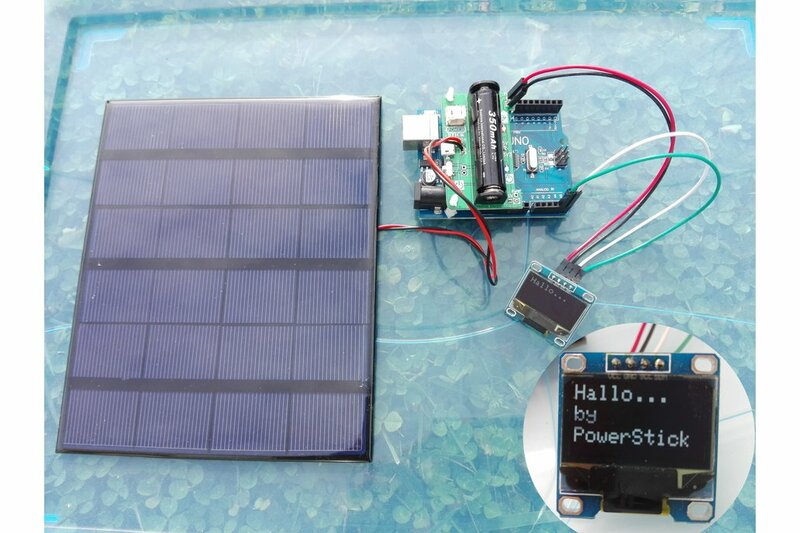 If you need to power to your device without power cable you can connect a photovoltaic panel to PowerStick; the sun will keep charged the battery while PowerStick will supply power uninterruptedly. The PowerStick is equipped with an external input to supply power in place of USB input; external input range is 4.3V to 6V. 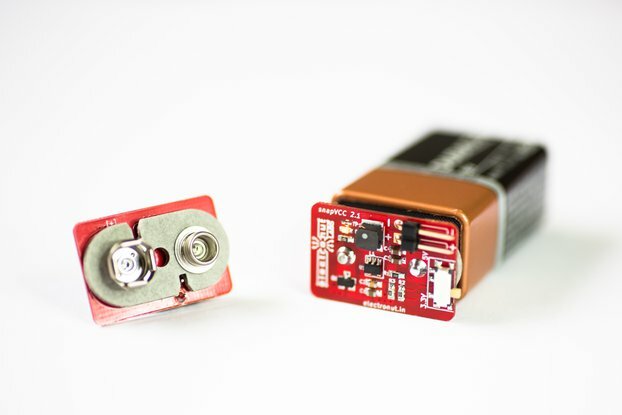 You can use the PowerStick while charging the battery or without battery charger (if the battery is charged); in both cases, the PowerStick will supply regulated 3.3V or 5V by the on/off switch on the board. You can turn on/off the power by an external contact also (normally open; closed to power-on). On the board there are two LEDs: the battery charging led (red led) and the power output led (blue led). The charging led will be on during the charge status and will be off when the battery becomes full. The battery charge process is self-controlled by an integrated circuit. The power output led is connected to the power rail output and will be on when the PowerStick is turned on, otherwise will be off. You can select the output voltage on the rails-pins by the solder pads. On the lower side of the PowerStick board, there is the pin to supply the Arduino UNO/DUE form-factor boards. On this pin, the voltage is 5V when the board is turned on, independently from the voltage selected on the rails-pin. You can use 5V power (on this pin) even when you have selected 3.3V on the power-rails outputs. The PowerStick is parallelable; that means you can connect the output of many PowerSticks on parallel power bus (with the same voltages) to increase the power out. When in parallel, using the external inputs you can charge all with only one USB. In this case, make sure that the connected USB power supply can supply the needed current; the total required charge current is: 0,212Ampere X number-of-paralleled-PowerSticks. Kits ship with 5V selected on the rails-out; if you need 3.3V on rails-out change the output voltage by solder pad. The photovoltaic panel used to test the PowerStick (showed in the photos) is SOLAR PANEL GH165X135; it provides up to 3.5W max 6V and is available on Amazon, eBay, Aliexpress… etc. To supply 5V modules that sink very high start-up current (like WeMos D1 Mini) put an electrolytic capacitor 100uF/10V on the power rail (in my projects I supply the WeMos D1 Mini by the 3.3V). I designed the PowerStick to supply power to any solderless-prototyping-boards (breadboards) without power cables. I needed it during the development of a radio mesh of wireless sensors using the ESP8266. 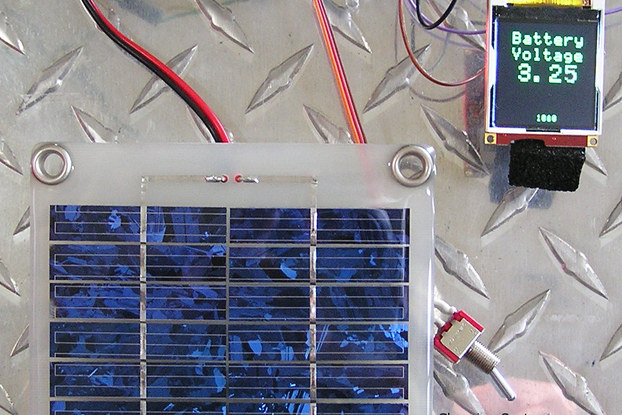 The released system is composed of a variable number of little sensors boards sunlight powered. Furthermore, to develop and test of the radio mesh, the module mounted on the BreadBoards, had to be cordless powered. I’ve used the PowerStick both for the development phase and for the definitive devices. The PowerStick is very, very versatile; I’m using it for all my projects.. to supply Boards, modules on breadboard (ESP8266, ESP32, Arduino nano, etc. ), or any microcontroller (Atmel and Microchip). A little tip: I use the PowerStick without power cable all day on my boards, during my working day; when I’ve finished my work, I put it on charge connecting it to smartphone charger by night. The day after, when I start to work, I unplug the PowerStick from the charger (battery fully charged), and I use it without power cables, for another working day. Do Like me… set free from power cable slavery !!!. DIY electronics - because has been designed to be stackable to power Arduino boards and its selectable output voltages and maximum current are suitable to supply power to most of the available boards for makers, on the market. Nicely built board, lots of options, will be perfect for my IOT project. Dual voltage make it applicable to a number of projects.